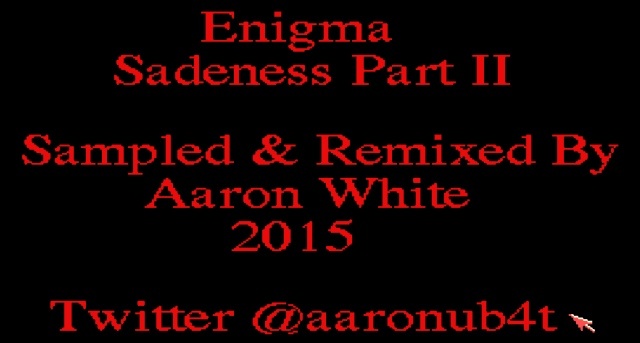 Another day, another Aaron White Amiga release and this time it's the ' RGDS Presents - Enigma (Sadeness Part II) Panpipe Mix '. As always remixed by himself, this a sample remix of the massive number one hit in the early 90's of Enigma and Sadeness Part II, with it's mellow panpipe moods. The only downside to this Amiga disk, is the lack of a background image, but Aaron has mentioned that he just fitted this module onto the disk as it's totally packed, thus the sound module is 791k just on it's own! In regards to the special which we hinted at before, that is still on it's way, lets just hope that he puts the samples aside for a little while and focuses on that, as it's going to be one of the best by far!